Imagine waking up every day in the middle of lush, unspoiled jungle—or the rolling green hills of a rustic European countryside—surrounded by the sounds of birdsong instead of city traffic. Your “commute” is a short walk to your front porch, where you enjoy your morning coffee on nature’s doorstep… and the only “boss” is you. It’s so peaceful, it’s easy to forget that you’re part of a rapidly growing global industry. In countries all around the world, expats have discovered the joys—and profit—of running an ecolodge. 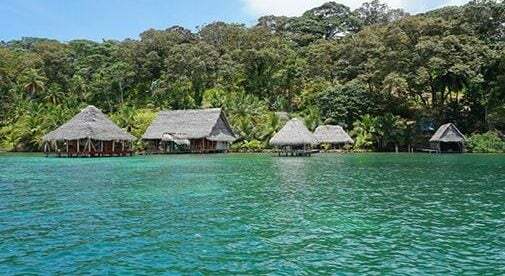 They’re taking advantage of a growing trend in ecotourism to fund their peaceful, nature-filled lives overseas—and they’ve discovered some of the most affordable, breathtaking destinations to do it. Alan and Colleen Spring moved from Florida to the tiny country of Belize in 2002 in search of adventure and a better lifestyle. “We honeymooned in Belize a few years previously and fell in love with the nature and people here,” says Colleen. Alan, the owner of a private investigation firm, and Colleen, a former special education teacher and school administrator, bought an abandoned farm on 105 acres of land in the Belizean jungle. They weren’t sure what to do with it and initially wanted to start a citrus farm. Today, the couple’s Table Rock Jungle Lodge is one of the best-known small hotels in Belize. (It received a TripAdvisor Travelers’ Choice award in 2016.) And the lifestyle the lodge affords them is very comfortable. 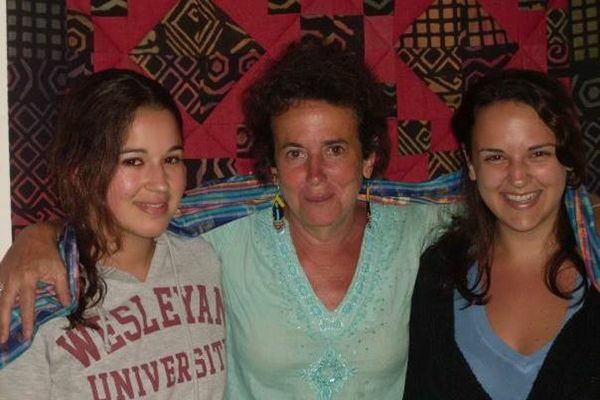 With the success of her ecolodge, Casa Mojanda, Betti Sachs has built a comfortable life for her two daughters in Ecuador. Ecolodges are something of a niche within the tourist sector. They are usually located in destinations that are off the beaten track and cater to tourists looking for nature focused, environmentally friendly vacations. Because they’re in the countryside or wilderness areas, where there may be few amenities, they generally provide more than just accommodation. Many include a restaurant (with food grown locally), and most offer a range of classes, tours, and other activities that take advantage of the local culture and terrain…and provide owners with a variety of income streams. According to the U.N. World Tourism Organization, nature tourism is already 20% of overall international tourism and is growing steadily. Increasingly, tourists— especially millennials—are seeking out more authentic travel experiences, preferring to live like a local rather than spend their vacation visiting traditional tourist attractions. “Healthy living and decompression from a world that’s moving too fast are now priorities for younger generations, which bodes well for the future of ecolodges, yoga centers, and permaculture farms,” says Shad Qudsi, who runs an ecolodge in Guatemala. Ecotourism is one of several niche tourism markets that fall under the general header of “responsible” tourism. And they form a growing market segment. Today, responsible tourism is outpacing growth in the travel industry in general, which itself is expected to increase 4% a year for the next decade, according to the World Travel & Tourism Council. Ecolodges have potential in countries all over the world; essentially, any place that offers attractive natural settings and is reachable by transport. But the greatest opportunities are in developing countries, where ecotourism is seeing its greatest gains. In these countries, traditional vacation amenities like five-star hotels, fancy spas, gourmet restaurants, and museums may be thin on the ground…but exotic wildlife and relatively unspoiled nature are abundant. And increasingly, that is what stressed-out First World tourists seek. Is an Ecolodge for You? 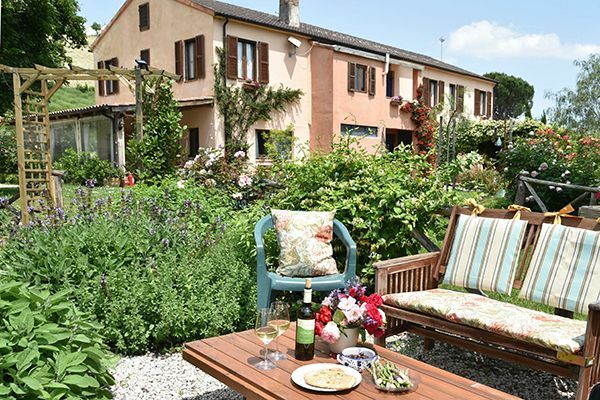 Meals at the Lavanda Blu ecolodge in La Marche, Italy, are prepared with produce from its huge organic garden. Starting and running an ecolodge attracts adventurous expats who want to live close to nature themselves. Many come with an existing interest in sustainability, organic farming, or living off the grid—all goals that are easier to achieve off the beaten path. And they carry those ideas into the ecolodges they create. Unlike traditional B&Bs, boutique inns, or other accommodation that may be found in rural areas, ecolodges tend to push the envelope on sustainability. They build with recycled materials, incorporate solar paneling and composting toilets, or create organic gardens to service onsite restaurants. Elizabeth Perkins and Hans Groot— she is from the U.S. and he is from the Netherlands—share a passion for environmental protection, and they have incorporated this into their business in Italy, Lavanda Blu, since the beginning. “Much of the materials used were found or destined to be thrown out due to imperfections. We simply re-purposed them,” says Elizabeth of their house renovation. They also planted thousands of plants and trees to restore the land, which they say was barren and overworked, while restoring the house. Today, they have beautiful flower gardens, vegetable gardens, productive olive groves, and the lavender fields that give their inn its name. Everything they grow is certified organic, without pesticides or chemical compounds. This Field of Dreams-type philosophy may seem more idealistic than practical… yet in many cases, ecolodge owners say they turned a profit in their first year in business… and they continue to be successful. Doing well by doing good? It’s a win-win. 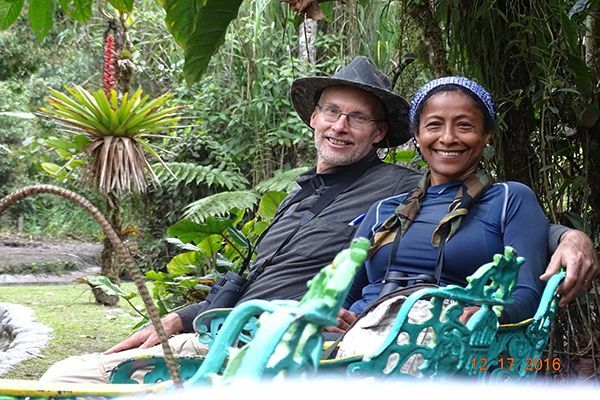 In the lush cloud forest surrounding the town of Mindo, Ecuador, Tom and Mariela Quesenbery found the perfect location for their ecolodge. Off-the-beaten-track locations tend to offer a lower cost of living and of land or property, which can mean lower startup and operating costs. But not all places are created equal. Successful ecolodges are located in areas that offer great natural beauty… but where owners have also been savvy in offering a range of activities and services that transform their lodges into destinations in their own right. Shad, who grew up working on his family’s commercial farm during the summer, wanted to live in a place where he could grow his own food—and enjoy himself while he did it. In 2009, he left his office job behind, and he and his wife Colleen headed to Guatemala. There, near beautiful and popular Lake Atitlán, they bought 2.2 acres of land to pursue their dream of permaculture farming (sustainable farming that minimizes the impact on the surrounding environment)…and Atitlán Organics was born. Since then, Shad and his team have worked the land to create a profitable organic permaculture farm. They’ve also built the Bambú Guest House, which offers views of the lake and surrounding volcanoes, solar hot showers, WiFi, a kitchen, and a farm-to-table restaurant featuring food from their farm. Shad diversifies his income stream by leveraging his permaculture farm. In addition to using food from his farm in Bambú Guest House’s restaurant, he also sells his produce at the local market. The market serves as a weekly social event for the expat community, providing both income and free advertising for his products. The Genesis Eco Oasis (www. genesisretreat.com), in Mexico’s Yucatán Peninsula, is an ecolodge, retreat, and nature conservation area that uses primarily sustainable resources while reusing, repurposing, and composting almost everything. But it also takes advantage of the area’s archaeological ruins and rich Maya culture, featuring them among the lodge’s offerings. The lodge was founded by Canadian Lee Christie, who spent six months in Mexico in 1998 to de-stress after six years as a publisher. In 2000, she returned to the area that attracted her most: the Yucatán Peninsula, with its flourishing Maya culture. Eventually she settled in Ek’Balam, a tiny Maya village about two-hours’ drive from Playa del Carmen. Here, in 2002, she bought the land Genesis Eco Oasis now sits on. In addition to the income from the lodge and an on-site restaurant, Lee offers nature and archaeology tours (a two-person minimum) at fees ranging from $2.50 to $37.50 per person. Transportation and guide fees may be separate. Lee also offers Down to Earth, a three-day cooking course on the fundamentals of Maya cooking where members of the local community act as instructors. Many well-established ecolodges rely heavily on repeat guests and word of mouth. That’s the case, for example, with Lavanda Blu in Italy, Casa Mojanda in Ecuador, and Genesis Eco Oasis in Mexico, among others. But what about when you’re just getting started? Facebook and other social media can be helpful, too, with many ecolodge businesses at least having a Facebook page in addition to a website. Lee relies on her website, Facebook, and word of mouth to market Genesis Eco Oasis. Early on, she worked with broad-based advertising but discovered it attracted the wrong clientele: women in high heels, who arrived expecting a four-star hotel experience in the jungle. Her reviews suffered, as many guests came with expectations that were not met. Today, her website is filled with vivid images of the lodge and surrounding area that are colorful and enticing…but that also make clear that this is not resort living. And after 15 years, she has also developed a solid base of returning guests who are happy to recommend Genesis to like-minded friends. Some longer-established ecolodges, like Casa Mojanda, are featured regularly in area guidebooks and get free advertising that way. And Freya, in Kampot, Cambodia, offers her rooms through online booking engines. These engines—Booking.com and the like—charge a lodge owner a fee or a percentage for making the booking but can give wide exposure to properties. Freya has seen her occupancy rate rise since using booking engines. The specific paperwork and permits you’ll need to set up an ecolodge will depend on where you plan to set up business. And those may vary not only by country but even by region, especially if you will be in or near protected regions like biospheres, cloud forests, and the like. You will need a tax identification number for the country, as well as a permit to operate. You may need special tourism permits and, if you have an on-site restaurant, a food license and inspections. You may be required to file taxes monthly, so be sure to get a good accountant to help you with this. In addition, you should have a reliable in-country lawyer to help you with setting up the business and processing any paperwork. If you are setting up business in a country where you don’t speak the local language, it’s especially important to have a trustworthy lawyer to act for you.